Lebanon is a feast for the senses. Gaze onto ancient ruins or lose yourself in sultry Middle Eastern energy while the Mediterranean purrs gently into your ear. Lebanon is the smallest country on mainland Asia and home to 6 million people. Attractions include the Temple of Bacchus in Baalbek, Jeita Grotto in Jeita and the town of Byblos. Get ready to experience the unique rhythm of this glittering metropolis with cheap flights to Lebanon. Beirut is the capital and home to Beirut–Rafic Hariri International Airport (BEY), which is a 35-minute drive from the city centre. Lebanon abounds with ancient cities. Byblos is one of the oldest cities in the world and Baalbek was once home to the Roman Empire. Both are UNESCO World Heritage Sites. The culture of Lebanon is an enchanting fusion of cultures and traditions. 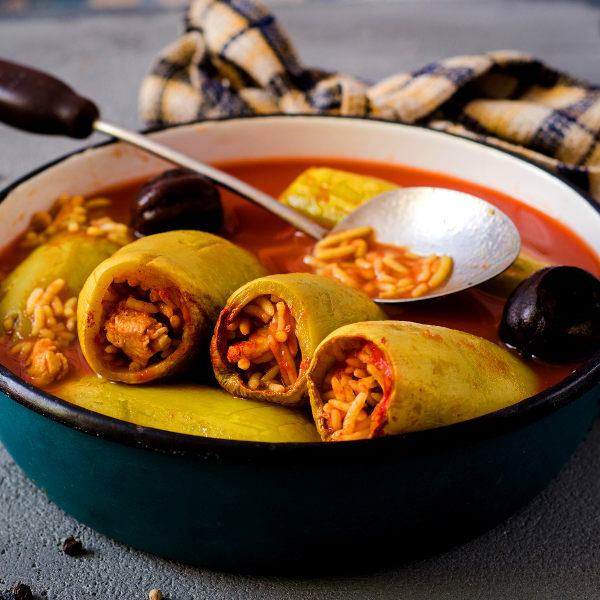 Dabke is a spirited Arab folk dance, while Lebanese cuisine is celebrated for its freshness and flavours. Lebanon is celebrated for its sprawling temples and ruins that date as far back as the 2nd century CE. The temples of Bacchus and Jupiter in the Baalbek are iconic. Lebanon experiences a Mediterranean climate, with decadently hot summers and cool to cold winters. Winters along the coast are generally rainy. The best time to visit Lebanon is during spring (April to May) and autumn (October to November). These months offer blooming landscapes and great weather for sight-seeing and hiking. If you are planning a beach holiday and want to experience the vibrant nightlife, the best time to visit is during summer (June to September). The winter months (December to March) offer excellent winter sports. For cheap flights to Lebanon, the best time to visit is between December and March. 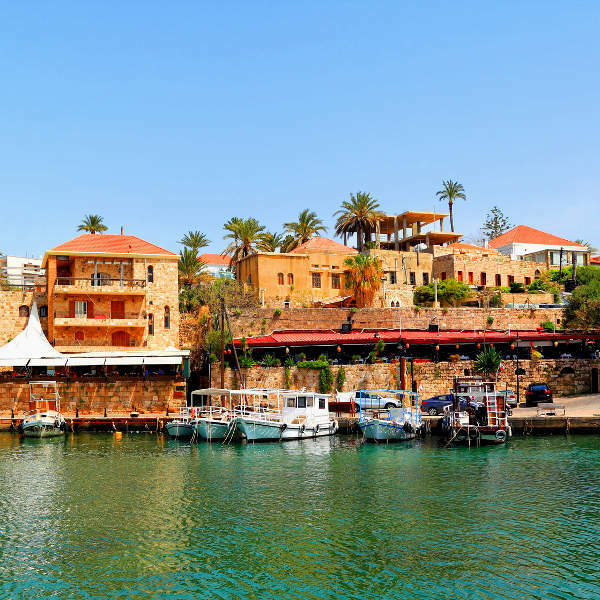 Situated at the crossroads of the mystical Arabian hinterland and glittering Mediterranean Basin, Lebanon is a country with an irresistible cultural identity. From the snowy tips of Mount Lebanon and the ancient Roman cities in the Biqa Valley, to the cosmopolitan energy of Beruit and mysterious Mediterranean charm of Byblos, the curious juxtapositions of this country are not restricted to culture. Lebanon invites you to venture off the beaten track and lose yourself in its enchanting tapestry of cinnamon and mint hues and unique Middle Eastern charm. 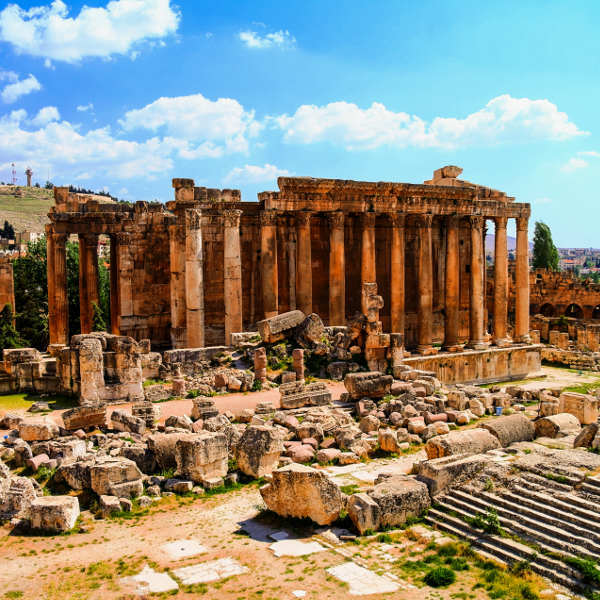 Spend your days schussing down the snowy slopes of Mzaar Kfardebian, exploring the historical cities of Baalbek, delving into the underground world of Jeita Grotto, or basking on the beaches of Tyre. For a taste of Lebanese culture, visit the Souk Al-Harajb in Tripoli, surrender to the decadent nightlife of Beruit, get lost in a museum, and try local dishes such as kibbe nayeh. The Sidon Soap Museum and Baatara Gorge Waterfall are also must-see attractions. Compare several airlines and book your cheap flights to Lebanon online at Travelstart! Due to the conflict in the neighbouring countries of Syria and Israel, there are certain risks when travelling to Lebanon. Research should be done beforehand on which areas to avoid, and it is recommended that you stay up-to-date with the security situation throughout your stay. Travel insurance to cover theft and medical expenses is also recommended. Avoid all travel to the areas bordering Syria and Israel. Steer clear of large gatherings and public demonstrations. Avoid carrying large sums of cash and valuables, as pick-pocketing and robberies do happen. Only reputable taxi services should be used. Stick to well-used roads and paths in the southern regions, as unexploded landmines are common. You should familiarise yourself with the local laws and customs before arriving. Lebanese law requires that you carry an ID at all times. Middle East Respiratory Syndrome (MERS) has been reported in Lebanon, so precautions should be taken to avoid contact with infected people and animals. Proof of yellow fever vaccination is required if you are travelling from an infected area. Precautions should be taken to avoid insect bites. Immunisation against hepatitis A & B, typhoid and rabies is recommended. Other recommended vaccinations include MMR, diphtheria-tetanus-pertussis, varicella and polio. Stick to bottled water.